I’m just back from OER14 in Newcastle and it was another fabulous conference. I know that many people sadly predicted the demise of the OER conference after the Jisc / HEA UKOER Programmes ended in 2012, but two years after the end of UKOER the conference really is going from strength to strength. The quality of the papers this year was excellent, and if I have one criticism of the event, it’s that there were so many great presentations that I only got to hear a fraction of the ones I was really interested in! The venue worked well, the conference organisers did a splendid job, there was a really positive feeling of community, it was great to see people from all over the world and, last but not least, it was a lot of fun! During the conference dinner we were all given little packets of Lego and asked to build something that represented what open education means to us. The results were as imaginative, eclectic (and occasionally rude) as you might imagine. Here’s mine, it’s supposed to be Open Scotland and Creative Commons :} Many thanks Darya Tarasowa for letting me borrow her skirt! Huge thanks to all those involved in organising OER14 and in particular to conference chairs Simon Thomson and Megan Quentin-Baxter. 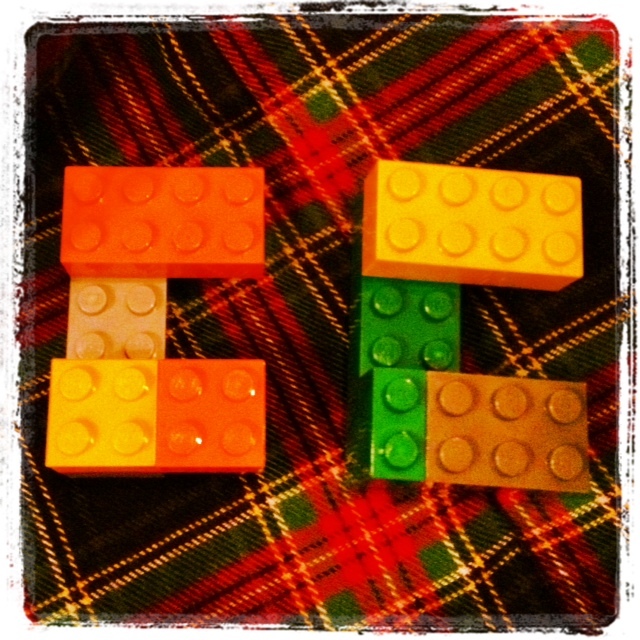 This entry was posted in oer, openscot and tagged cetis, oer, oer14, open, openscot, ukoer. Bookmark the permalink. Thanks Lorna for your post. Of course Scotland is very dear to my heart (what with the “correct” spelling of Thomson being notable for it’s Scottish heritage). As always it was great to see all the nations of Great Britain represented and all so passionate about Open Education (OE). England has some catching up to do in terms of a national approach to OE, but as Prof Clive Mulholland so eloquently noted perhaps our size is our biggest barrier to achieving that.